This album is Hux Records' 150th release and also our most ambitious project by far. 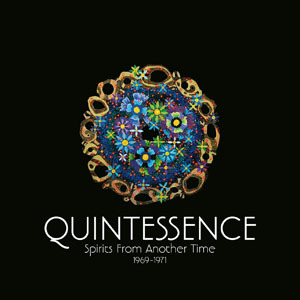 Quintessence was the last great 'underground' band of the 1960s. Formed in March 1969, they were quickly signed to Island Records and later that year released their debut album, In Blissful Company. Between 1969-71, Quintessence, a counterculture phenomenon, made three albums for Island Records. Now, recently sourced from Island's multi-track tapes and digitised at Abbey Road Studios, this packed 2CD set reveals a wealth of stunning, hitherto unheard recordings in pristine studio sound. The 24 page booklet, with an 11,000 word liner note by Colin Harper, includes new interviews with the band's singer Phil 'Shiva' Jones, guitarist Dave 'Maha Dev' Codling and the band's original producer John Barham.